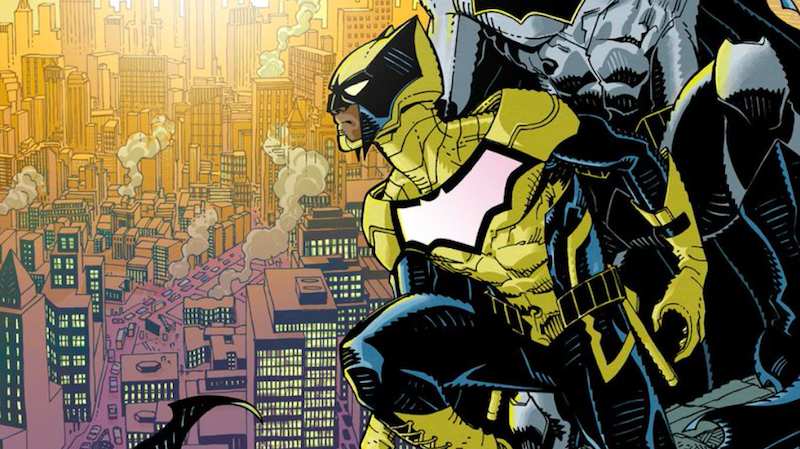 Duke Thomas, the Gotham-based vigilante formerly known as Robin, is getting back to his roots this November in Batman and the Signal, a new series chronicling his adventures as a sort of Batman-by-day who patrols the city while Batman's indisposed. As the sun sets, Signal passes the baton to Bats. Almost everything about the series sounds great, from the concept of Duke taking on Gotham's seedy underbelly from a unique (and better-lit) perspective, to Batman and Signal exchanging reports about their patrol shifts at dusk and dawn when they're coming and going from their respective posts. But there's something about Duke's look in the book that's been bothering me. How to put this diplomatically? Duke's new costume for Batman and the Signal is kinda bad. The cover for the series' first issue (illustrated by Cully Hammer) shows off the Dark Knight and the new Bright Light in all their brooding glory, and while Batman looks basically the same as he always does these days, Signal's costume is drastically different than the one we saw him don for the first time not too long ago. If I'm being completely honest, there are really just four things in particular about the costume that feel a bit off, and three of them are manners of taste more than anything else. But if there's one thing you've got to nail when giving a relatively new character his own series, it's his look — because first impressions are damn near everything. Let's start things off by studying Duke's original costume, which he received as a custom-made gift from Batman himself. Yellow's always been his thing, and the juxtaposition of the warm sunny tones with the inky blacks of whatever material his pants and shoulder pads were made of was a very clever way of visually representing how Duke is a different kind of superhero than Batman. As a member of the Bat Family, there was basically no way that he was going to get away without having bat iconography incorporated into his look, but the bat insignia on his chest plate was styled in such a way that, again, set him apart from his mentor. Whereas Bruce's bat sigil tends to be broader, emphasising the wingspan, Duke's was longer and stretched, bringing to mind the image of a leaping figure's shadow cast during midday. There's really no way to describe Duke's old helmet other than an odd cross between the original Yellow Power Ranger and an oversized, translucent Batarang. As weird as Signal's costume sounds on paper, on the whole, the look worked for him and gave off the distinct impression that it prioritised functionality over form. Compare that to his new duds, which are decidedly more gothic in some of their details. Gone is the Signal's golden glow, in favour of a cold, hard yellow that strikes the eye as being more like a faded highlighter streak than a gleaming beam of light. Signal's bat-logo, which used to be black, now seems to be mostly made of a highly-reflective white material outlined in black and shaped to look much more like Batman's. He's also now got an odd, armoured chest piece that's equal parts shoulder padding and breastplate, but has a plunging boat neckline. And then there's the odd business of his helmet, which has been styled more dramatically to look like a bat and given way more sharp, pointy edges than responsible headgear should. Pointy ends, it looks, became very important to Bruce and Duke, because the new Signal costume is absolutely lousy with them. Ultimately, this version of the Signal ended up looking a lot more like a Batman protégé, which isn't an inherently bad thing and was most likely a purposeful decision meant to make him more immediately digestible to new readers. 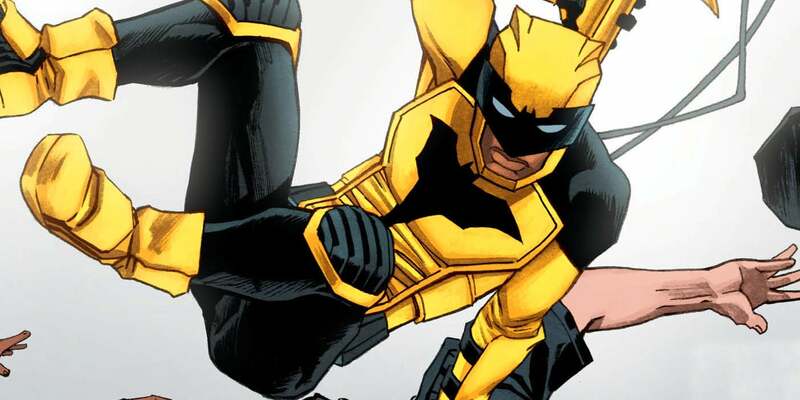 But in giving Signal a new look, I can't help but feel as if the character's lost some of the accessibility he once had because of how straightforward his costume was. One of the greatest things about Batgirl's massive New 52 redesign was how objectively easy it would be for fans to cosplay it well. Gone were Barbara Gordon's skin tight, skimpy ensembles in favour of an ensemble that you could put together relatively easily with a little bit of time and creativity. More than that, though, Barbara's new costume, like Duke's old one, was clearly designed to for a person to fight crime in. If you plan on going toe to toe with Gotham's worst, steel-toed boots are definitely the footwear of choice. 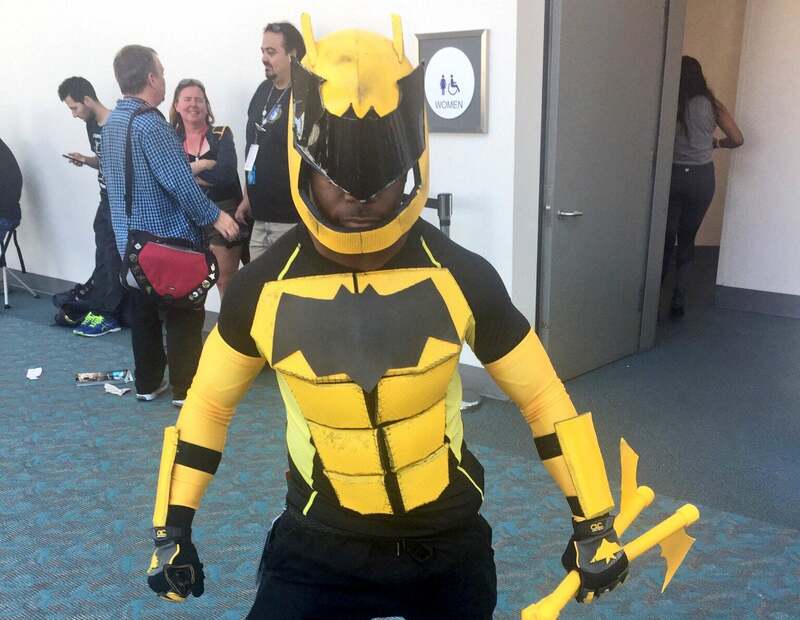 At this year's San Diego Comic-Con, we came across a Signal cosplayer who'd based his costume on Duke's original design and clearly put the look together himself using everyday items like cardboard, knee pads, and compression shirts. There is something very cool and heartening about bumping into a fellow black nerd like that cosplayer at a con and seeing him dressed up as a character like Signal, who is also black, and who's barely had any major screen time yet. It's no secret that Cosplaying While Black™ is an exercise both in self-expression and dealing with small-minded people's inability to fathom the idea that a black person might also want to dress as a character who doesn't read as a person of colour. People can, will, and should continue to cosplay as whatever characters they desire. But there's also something to be said for the arrival of a new character of colour who's prominently featured in a major publisher's books related to one of its main intellectual properties. No, Signal isn't going anywhere, and his new costume is very much an evolution of his aesthetic, but it's obvious that this new look will be a bit harder to pull off without a bit of know-how. 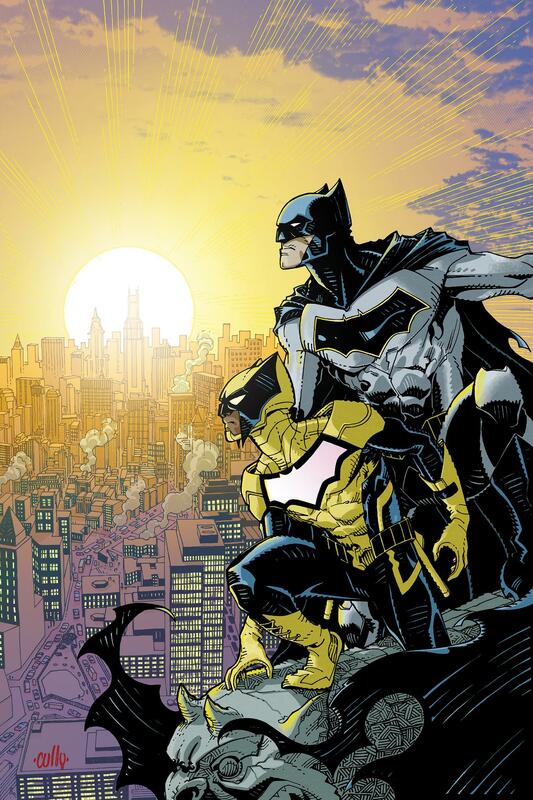 I'm still more than hyped for what Batman and the Signal has in store. But man, I hope this new suit gets burned in a fire halfway through the series and Signal decides to just start wearing the old one again. It's nowhere near as bad as his codename. 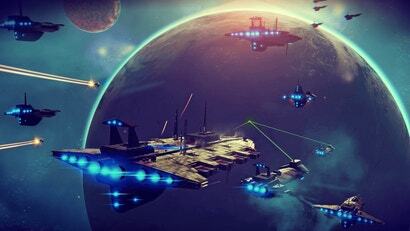 The Signal? Really? Ugh. 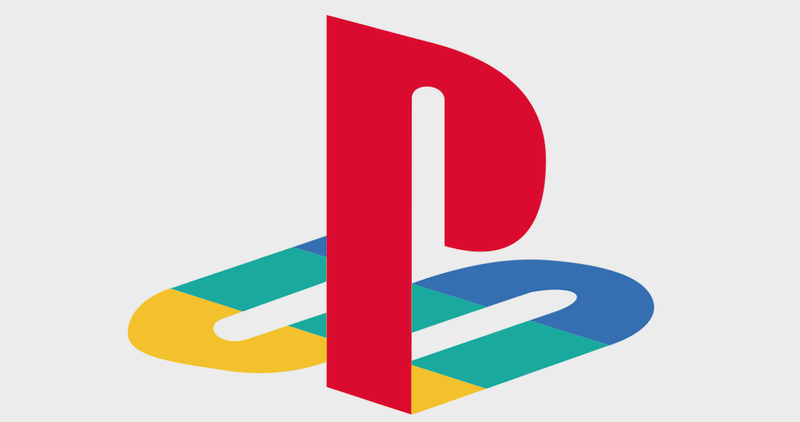 It's like Wolverine x Batman x Spiderman. Ffs, they show you the new costume "you hate it", they change the costume "you hate it", damned if they do and damned if they don't. I feel sorry for the DC artists I really do. Ppl like you don't deserve new things!